As the chill settles in and mornings and nights become nippier, most of us are ready to hunker down under our covers with a hot drink. Not high on the list of priorities: stripping off warm clothes in exchange for a hot shower, which is inevitably followed by a bout of the shivers until you’re blow-dried and bundled once again. Another downside: shuffling in to a frigid bathroom on an icy morning. Brrrr. If you’re like most people, you’re looking for a way to warm up your bathroom – without installing under-floor heating ($$$) or bathroom carpeting (ick). And here it is: wood! You read right. Wood is nature’s most popular material for providing instant warmth by insulating the room. Skeptical? Go step on a wood floor with bare feet on a cold day, then step on tile. 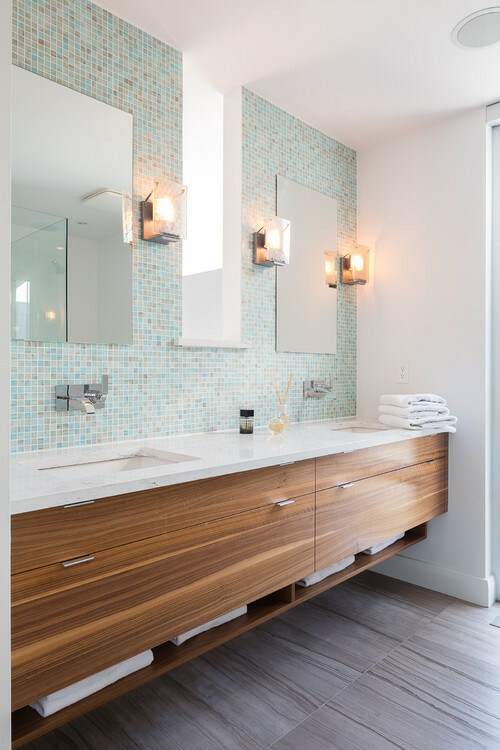 Insulating benefits aside, the very look of wood adds visual warmth to any bathroom, especially today’s popular modern-bordering-on-sterile styles. 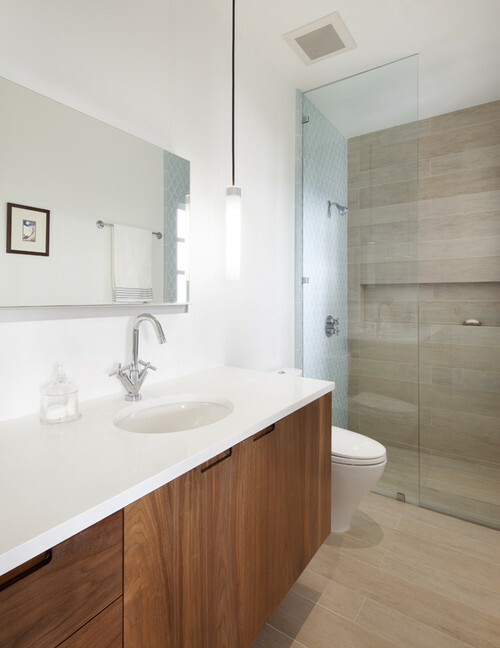 And lest you dismiss wood as “too traditional,” consider the multitudes of ultra-modern wooden fixtures available among the rustic and timeless styles. 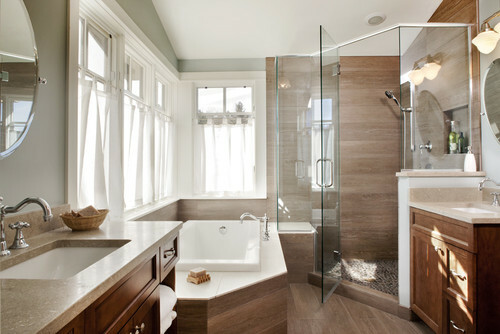 Natural wood is now cropping up in unexpected places such as sinks and even bathtubs (treated for water resistance). On a budget? Accessorize and watch the temperature rise. On the opposite end – go all out with wood on the floors and/or walls. Even wood-look tile can do the trick (but it won’t trick your toes). Tell us: how do you stay warm in the cold winter months?